Update 2019: Clifton Hill is now open for the 2019 season – check out our latest update here. Update 2018: Clifton Hill just announced their pricing for this epic track, check them out here. It’s the summer event we’ve all been waiting for, and it’s not just weeks away. 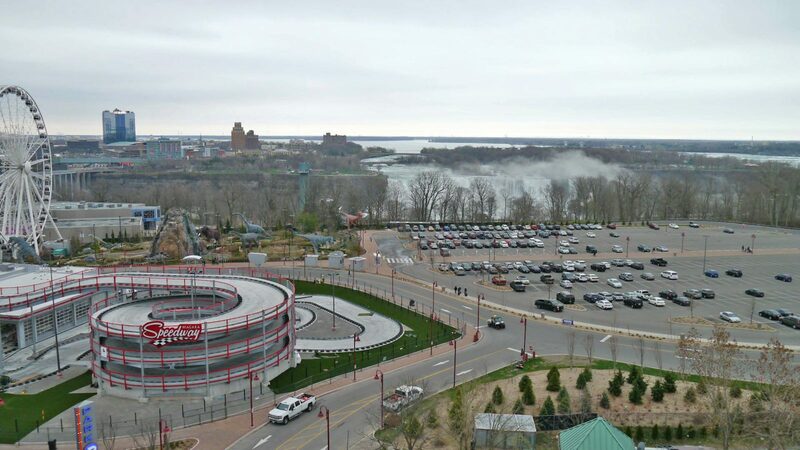 Niagara Falls’ real-life Mario Kart track opens June 1. 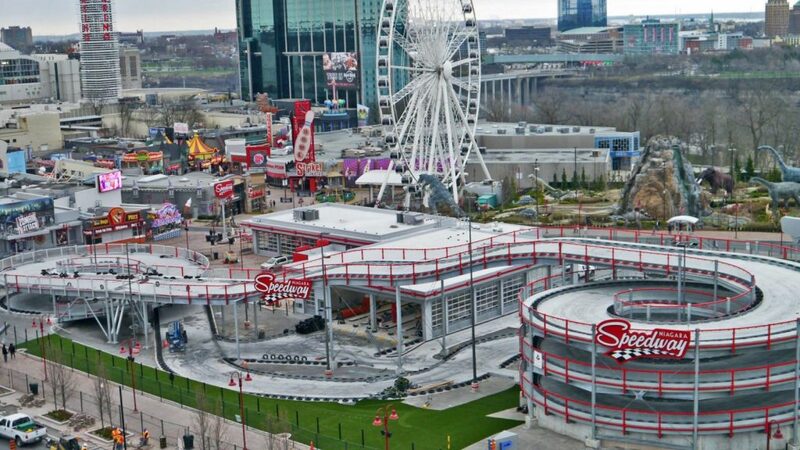 The new track is not only the largest elevated go-cart track facility in North America but also the first of its kind in Canada, making this a must-try activity for all Torontonians. Boasting a 40-foot elevated spiral track that drops down an undulated ramp into a race course, driving on the Niagara Speedway will make you feel like you’re cruising on a real-life Mario Kart track. 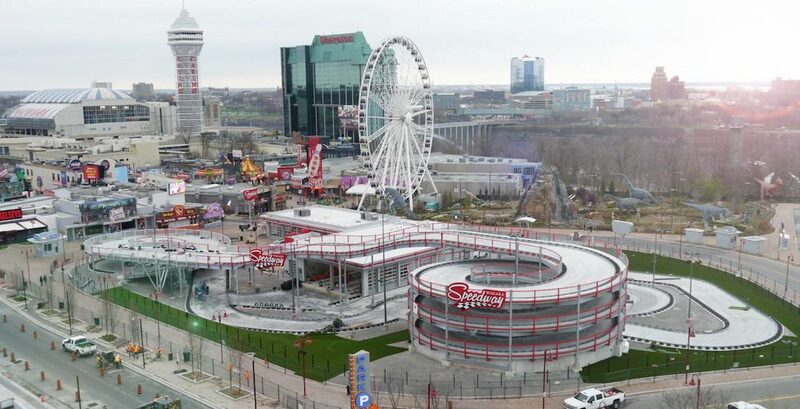 “The Niagara Speedway is a marriage of traditional go-karts with the added fun and excitement of an elevated coaster styled track,” wrote Clifton Hill a YouTube video description. With files from Ainsley Smith.